Euro continues moving downwards. 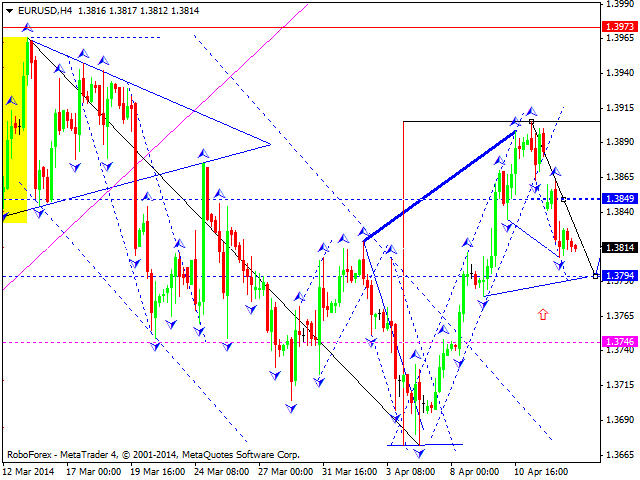 We think, today price may reach level of 1.3795 and then return to level of 1.3850. Later, in our opinion, instrument may start falling down again towards level of 1.3750. After that, we’ll see if pair is going to continue moving downwards or start new ascending movement. 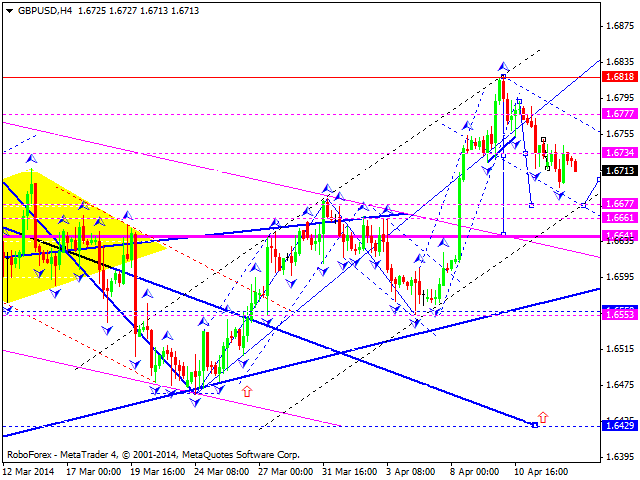 Pound is still forming descending structure with target at level of 1.6677. After reaching it, price may return to level of 1.6735 and then complete this correction by falling down to reach level of 1.6640. After that, we’ll see if pair is going to reverse and move upwards or continue falling down towards level of 1.64320. 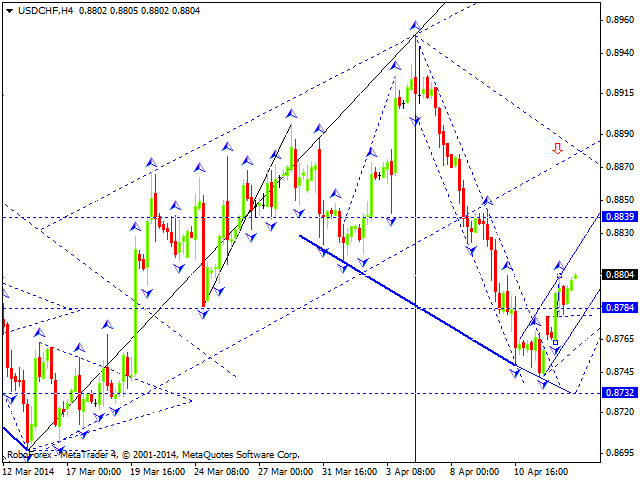 Franc is still forming ascending structure with target at level of 0.8825. After reaching it, price may return to level of 0.8780 and then complete this correction by growing up to reach level of 0.8840. After that, we’ll see if pair is going to continue growing up or continue moving downwards inside descending trend. Yen is forming ascending structure with target at level of 102.80. We think, today price may complete this structure and then continue falling down to break minimums and reach level of 100.00. Australian is still forming descending impulse. 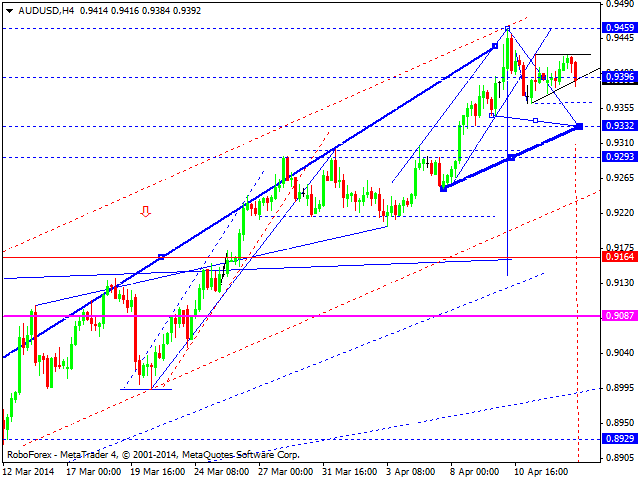 We think, today price may reach level of 0.9330 and then return to level of 0.9390. This structure may be considered as head & shoulders reversal pattern. Later, in our opinion, instrument may continue falling down towards level of 0.9160. Ruble is moving inside the third ascending wave with target at level of 36.20. After reaching it, price may form the fourth structure to reach level of 35.75 and then complete this ascending structure by growing up towards level of 36.60. 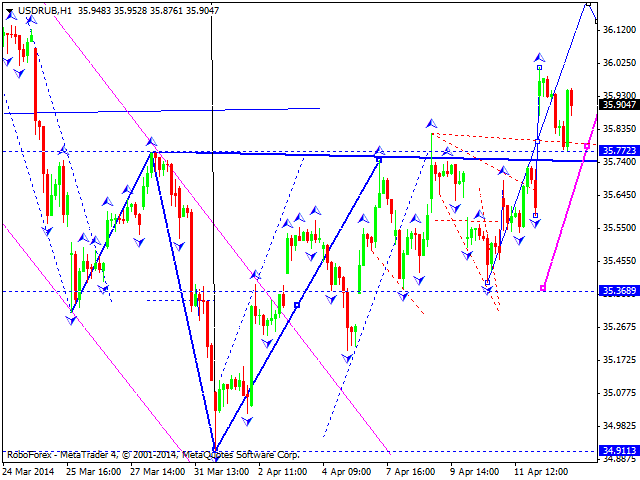 Later, in our opinion, instrument may start new descending correction with target at level of 35.70. 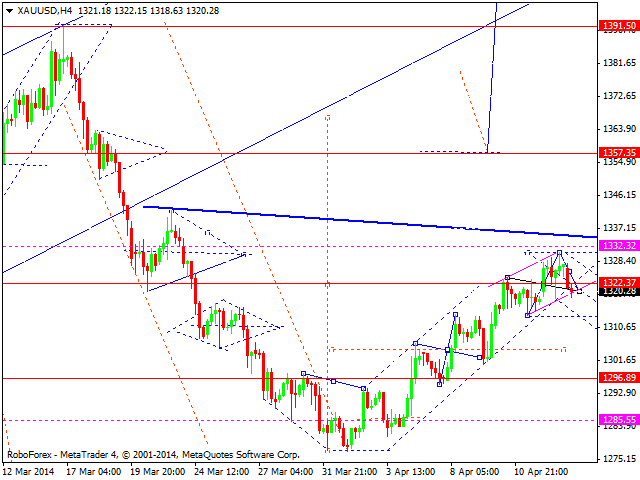 Gold is still consolidating near level of 1322; this structure may be considered as continuation pattern. 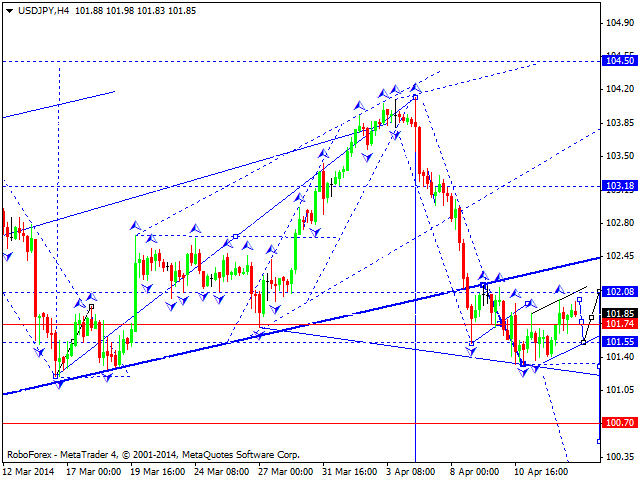 According to main scenario, price may continue moving upwards to reach target at level of 1357. By now, market has already broken ascending channel downwards and may continue falling down to reach level of 1305. Later, in our opinion, instrument may start new ascending movement to break current maximum.